Having your website for your brand boost your chance to increase your sales but it’s not enough. Your website must have rank in Google so people may find you and might turn into potential customers. 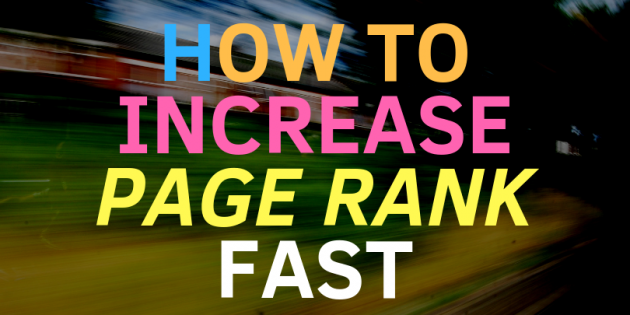 Your goal of ranking your page cannot achieve over night. It needs a lot of time and effort. How were you able to make your page and increase its page rank? Here are some of the tips on how to improve your SEO efforts and show your content in search engines. Make sure your website is being indexed by Google. Start on using a free page rank checker to know your ranking in search engines. You can submit your website to several directories to have your site crawled even better. The best way to increase your website’s rank is by having backlinks. Find high quality links within your niche and reach out to them to link back to your website. More links directing to your website will result in better page ranks. Use the right keyword for your content to achieve the high volume of traffic to your website. The ideal place to put your main keywords is at the first paragraphs of your content. Web spiders usually focus in crawling the beginning of the page other than the other parts of your blog. Make sure that your content is unique and is updated regularly. Search engines give focus on fresh and original content rather than out of date.